This month's theme is called Pang-Habang-Buhay. Pang-Habang-Buhay is part of pampahaba ng buhay which promotes longevity and healthy living. The club's dishes had to include vegetables or fruit. Our lovely hosts this month is Isabel from My Expat Mommy and Kai of Bucaio. For this challenge I choose to remake halo halo. I was inspired from a post that Adora posted on halo halo. She made a halo halo all with fruit instead of the traditional beans, leche flan, and pinipig. This is not a traditional recipe but this is how I made it. Put the ice on the bottom of the bowl. Place the ice cream in the center. 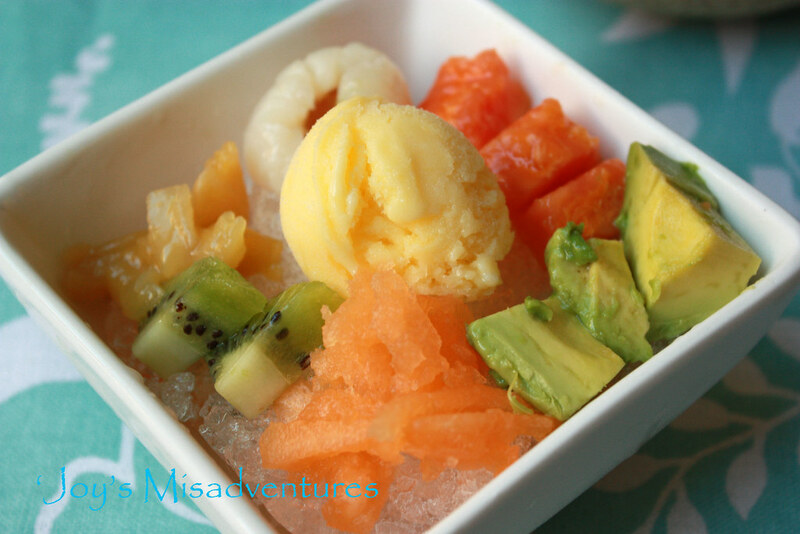 Place the fruit around the ice cream. Here is the break down of the health benefits. 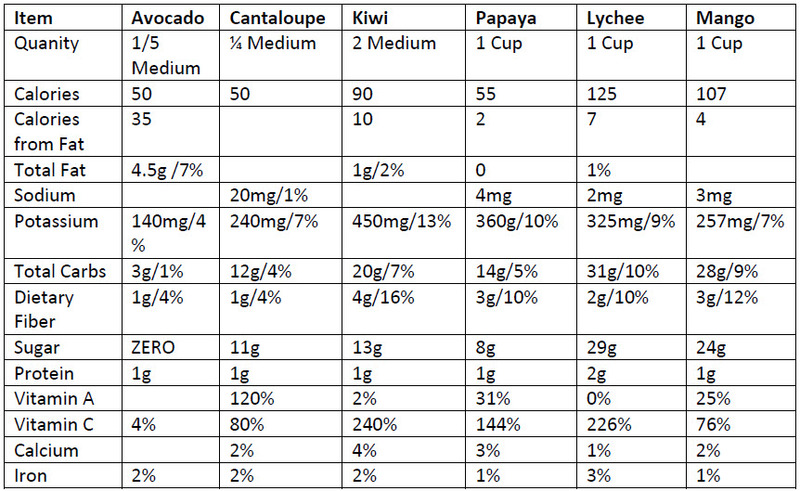 I just realized I didn't include Jack Fruit. For one cup it has 155 calories while 4 of them are from fat. It contains 3g of dietary fiber, 10% of vitamin A, 18% of vitamin C, 6% of calcium, and 6% of iron. 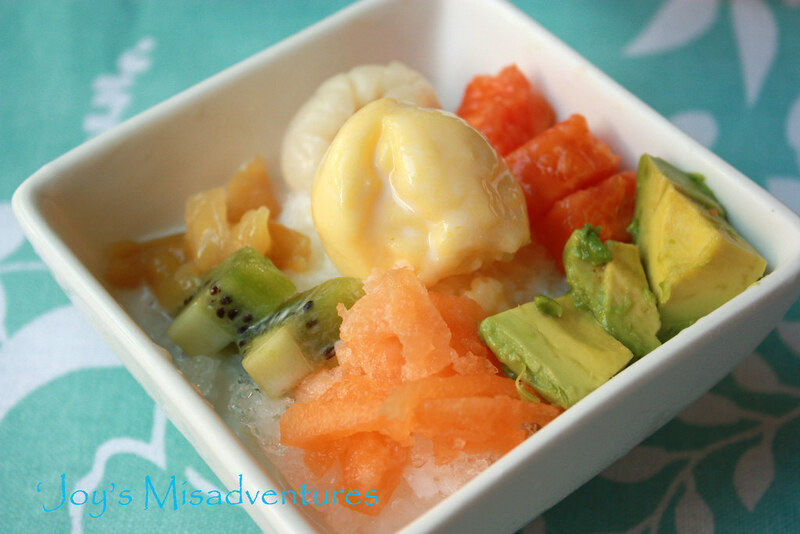 For the mango frozen yogurt, I used plain yogurt instead of adding unnecessary amounts of sugar. Check out the other members posts. This is definitely healthy and refreshingly yum at the same time! Just what I need as I am looking forward to summer soon in my part of the world. Hi Joy! Just found you on SF Food Bloggers. This dish looks amazing! 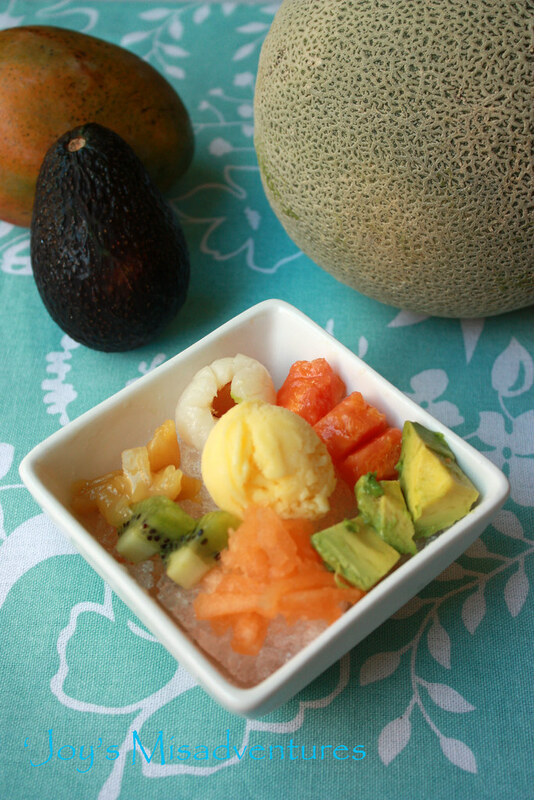 I love anything with lychee in it :) Great pics too! Mmmm, masarap na, pampahaba ng buhay pa! Fresh fruit halo-halo is so awesome! Sarap! 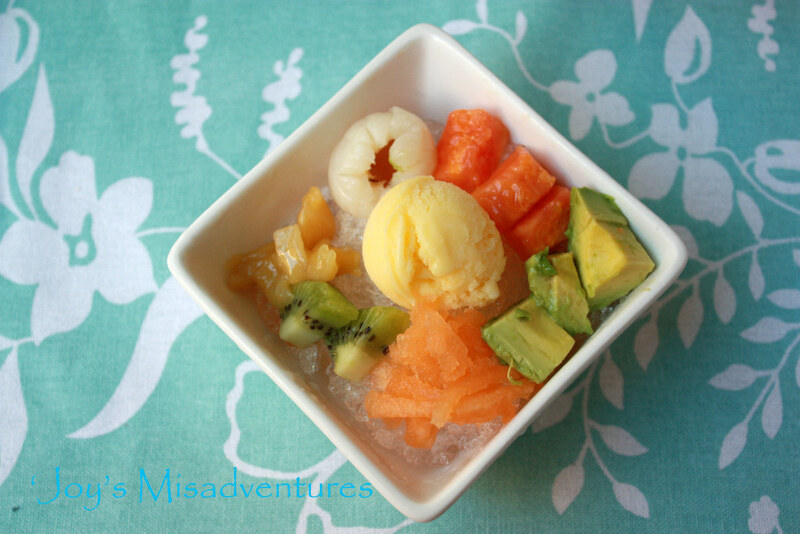 love your version of halo-halo! Now we're talking. Although eating vegetables was a punishment for me, fruits are one of the things that I didn't regurgitate when I was little. Even now, I would gladly give up my main meal to eat more fruits. Lovely!